A straight and true Opening Night national anthem came from Mr. Lyle Lovett tonight. Here’s the link. San Francisco had the highest Opening Day payroll in the National League West in 2012, then won the World Series with a starting eight that was 50 percent new guys. Two of the players had to integrate themselves into the team with the season two-third complete, after the Giants showed the willingness to take on additional salary. It’s true that much of San Francisco’s pitching staff, particularly its starting rotation, had been in place for more than a year. Still, isn’t it a little strange that the Giants are considered a triumph of chemistry over payroll? Wouldn’t the more sensible storyline be about a team being bold enough to make the right moves? Opening Day starter Clayton Kershaw is tied with Cole Hamels for the most times a pitcher has reached base over the past two seasons: 34. In that period, Kershaw also leads the majors in sacrifice hits with 25. 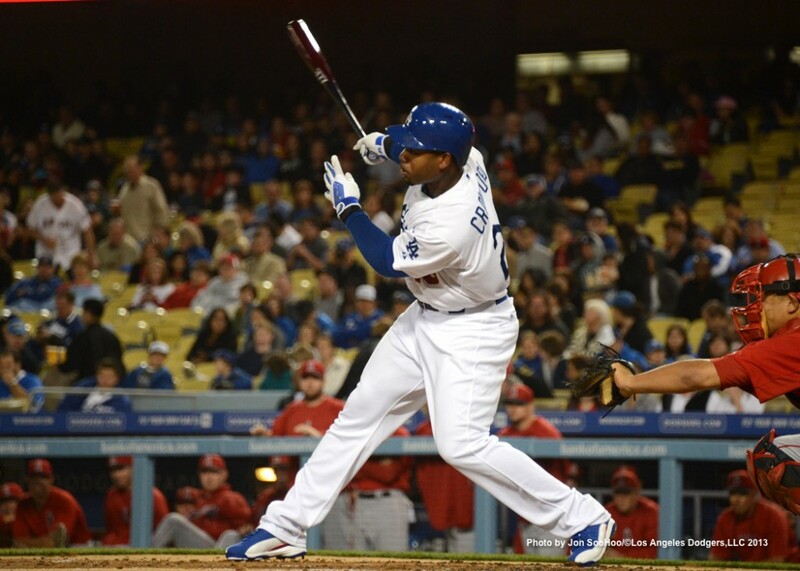 • I’m reasonably excited about this year’s Dodger team, but part of that is a perverse excitement about just how bad on offense that left side of the infield might be, at least while Hanley Ramirez is out. That makes the decision to go with Justin Sellers fun for kicks, however dubious. Still, I have always liked the idea of emphasizing defense where offense isn’t an option. • It only just now occurred to me that I was in the stands last year at the game in which Sellers was hurt and the one in which Dee Gordon was hurt. • Do you realize this will no doubt be the fourth consecutive year that Kenley Jansen isn’t the Opening Day closer but eventually moves into that role? • One thing I don’t miss about baseball season is the whining whenever a save gets blown, as if it should never happen. Heaven knows, though, it will happen. • Carl Crawford has me excited. Truly didn’t think he’d be ready this fast, but this is the one case where I’m allowing myself to be swept away by past success and heady Spring Training numbers. • I think lingering effects of his labrum injury will keep Matt Kemp below 25 home runs this year, but that doesn’t mean he won’t be productive. • At first, I thought that with no true right-handed outfielder in reserve, the Dodgers would need to keep Adrian Gonzalez and Andre Ethier spaced out in their lineup, or lefty relievers will just crush the team. But Gonzalez has had success against left-handers, so that helps. It’s still not necessarily a bad idea to insert a right-hander between them, though – as long as it’s a decent one. • My initial plan for any free writing time that emerged this spring was that I would spend it offline on a long-term project. I did begin work on that project early this month, but with baseball season starting, I’m wavering. 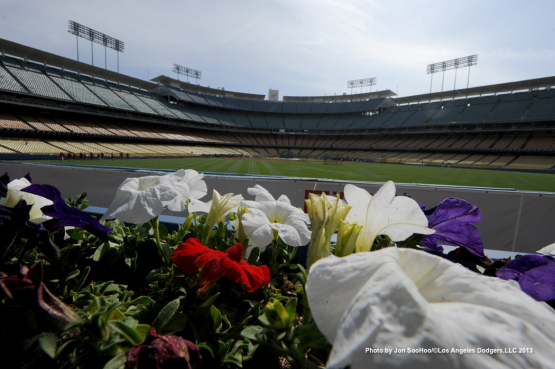 What might happen is a mix, where I post on Dodger Thoughts not infrequently, but not comprehensively. The risk is feeling like I’m doing both things halfway. • Another intervening factor in my life is that Youngest Master Weisman, now 5, is six days away from his first T-ball season, and he is raring to go. (His team: the Tigers.) After playing with a pretend ball inside the house several times, we made it out to the park for the first time, and he was knocking balls through the infield and reaching the grass. Also in the past day, I’ve begun trying to teach him how to scoop balls on defense. It’s crazy. • Older brother Young Master Weisman, now 8 1/2, took a few swings, but piano is his game. He’s composing his own material for his May recital performance. Young Miss Weisman, a whopping 10 1/2, is also wonderful on the keys. 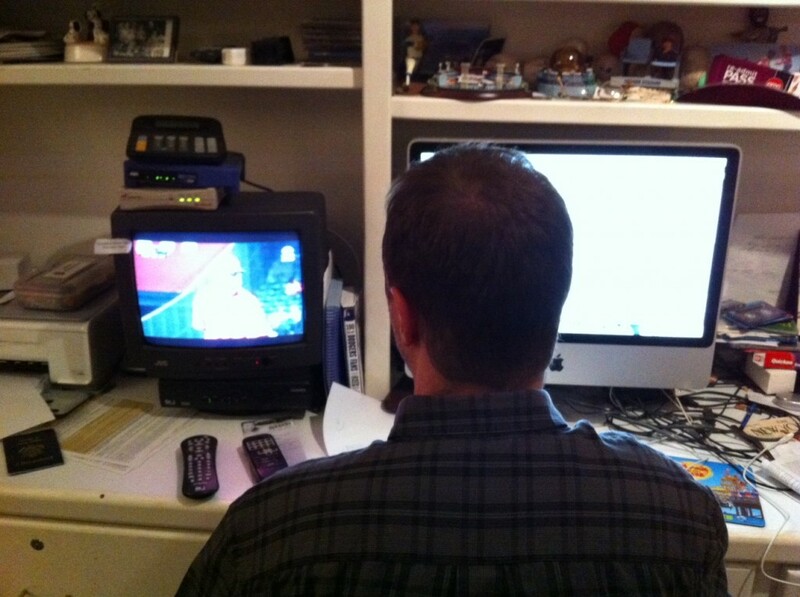 The times of the year in spring and fall when first-run TV and Major League Baseball intersect the most are tough for me. (I do love my shows.) I almost never watch nighttime exhibition baseball as a result, particularly when my DVR is bubbling. But I checked on the Dodger game after dinner tonight, almost for no other reason other than to acknowledge the team was back in Southern California, and not only was it scoreless in the fifth, which was kind of interesting, but the Dodgers hadn’t allowed a baserunner, which was very interesting. It whetted my appetite for baseball. My curiosity. In the seventh inning, I paused to pay attention to a Juan Uribe at-bat, which is like pausing to pay attention to a fallen leaf. Uribe has had … not the worst spring, and I entertained myself with the thought that I would spot something different about him. I didn’t, but I did get to see him get his second hit in three at-bats tonight, a broken-bat single off Mark Lowe, that pitcher the Dodgers released earlier this week. Later in the inning, there was a mini-version of one of those just-when-you-think-you’ve-seen-everything moments, something Vin Scully might remark upon if the stakes were higher. Uribe was on second base with two out, and Tim Federowicz hit a soft single into left field. In a 0-0 exhibition game, I figured Uribe would be waved home to try to score and hardly minded, but given that he was rounding third as the left fielder was reaching the ball, I also figured he would be thrown out easily – and that’s without factoring in that the left fielder was superman Mike Trout. But Uribe was safe. Easily. He was running in mud, but he was safe. Maybe he was saving himself for the regular season, but Trout just put nothing on his throw. 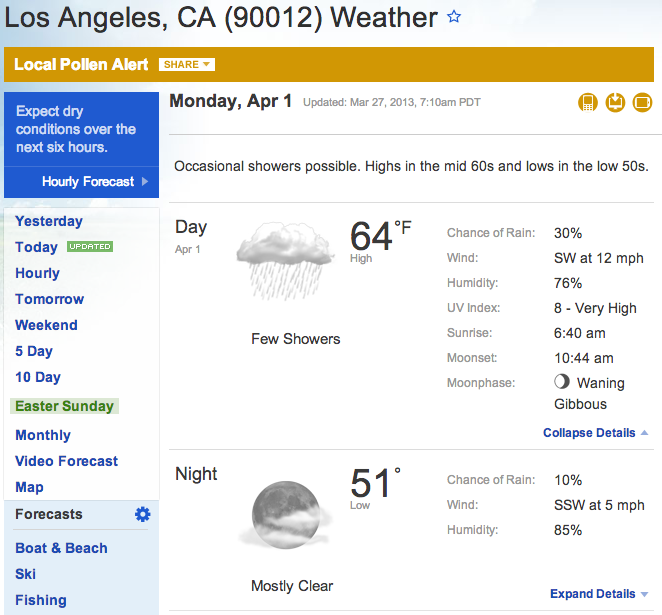 Welcome back, unpredictability. And then in the next inning, Matt Kemp hit an opposite-field RBI triple. Giddy. I like having reasons to watch. I like being reminded that I have reasons to watch. I admit, there are moments that I think this game has nothing left to offer me, at least relative to what the rest of the world can. But baseball keeps putting up a fight. It’s relentless. … (Chan Ho) Park made one more appearance before the Dodgers shipped him to Double-A San Antonio. There he met Burt Hooton, a pitching instructor and former Dodgers starter. “Burt Hooton was my best friend my first two years,” said Park, who spent most of the 1995 season at Triple-A Albuquerque before breaking through with the Dodgers in ’96. “He was like an uncle to me. He cared about me, my emotions, while he was helping me learn techniques. 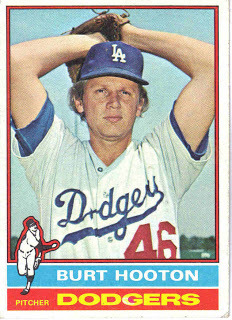 When I ranked the top 50 Dodgers of all time a year ago for ESPNLosAngeles, Burt Hooton was 29th. But generally, you don’t hear much about him when the pantheon of great Dodgers is discussed. Nice to see his name brought back to life, particularly in this extra, nurturing dimension. Hooton gave the Dodgers 10 years of a 3.14 ERA and though he’s often thought of as a postseason goat thanks to one outing in Philadelphia, recovered to have a 2.79 ERA in his 10 other Dodger playoff games, including a remarkable 0.82 ERA over five 1981 postseason starts. (He was the Most Valuable Player of the 1981 National League Championship Series, pitching 14 2/3 shutout innings.) That’s some big stuff that no one ever talks about. He managed to do this despite averaging five strikeouts per nine innings, a rate that would almost assuredly signify failure in this era. Opponents had a .659 OPS against Hooton over his 15-year career. Since 1972, Hooton has the eighth-best opponent OPS+ among all Dodger pitchers (minimum 600 innings). ‘Twas interesting, in the space of 24 hours, for relief pitcher Mark Lowe to go from Dodger camp to pitching against the Dodgers in the Freeway Series. That the Dodgers would cut loose the 29-year-old Lowe, who was nothing extraordinary but fits the profile of the Jamey Wright types that annually make the Opening Day roster, was the latest indication of how overflowing the Dodger pitching staff is, five days shy of the 2013 season. That depth is a key weapon for the team this season, because there is so much uncertainty over how healthy and effective so many of the pitchers will be, whether it’s concerns over Zach Greinke’s elbow, Chad Billingsley’s health and consistency or the legitimacy of Brandon League’s late-2012 revamp. While roster decisions in general should be made based on talent and capability, I won’t mind if the Dodgers stash such relievers as Paco Rodriguez or Josh Wall in the minors (as they have with Javy Guerra and Shawn Tolleson) in order to test the 2013 mettle of those without minor-league options. The last thing the Dodgers should do is rush into a low-value trade of one of their excess starting pitchers – Chris Capuano, Aaron Harang or Ted Lilly – just so they can make room for a Wall or Kevin Gregg in the back of their bullpen. If they can make a good deal, super – Los Angeles certainly has weak spots among the position players to address, namely in the infield and on that shaky bench. But the end of March is not time to give away starting pitchers for nothing, especially when the existing Dodger starting rotation has its own set of interrogative punctuation (or as they are popularly known, question marks). It might mean you don’t have the most exquisite 25-man roster for Opening Day. 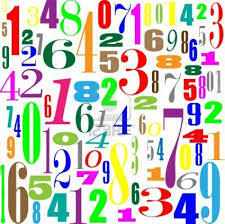 You need to think about the long haul, and the 2013 season, like every other, will absolutely be a long haul. Link via J.P. Hoornstra of the Daily News. Top target for 2014: Robinson Cano? Years after those Matt Kemp-for-Robinson Cano rumors were all the rage, could they end up being teammates? Tim Dierkes of MLB Trade Rumors today listed the Yankee second baseman as the top free agent possibility of the 2013-14 offseason. Cano, who had a .929 OPS for New York last year, will be 31 1/2 when the 2014 season begins. Assuming all goes well for him this year, he’ll no doubt be the latest ballplayer to set some kind of salary record for position or age or what have you — but as you might have heard, the Dodgers are players in that game these days. On top of that, Los Angeles will have a vacancy at Cano’s position. Of course, the Yankees figure to be players in that game as well — especially if they falter on the field in 2013, as so many expect, and will find themselves desperate not to lose such a key player. Another interesting tidbit from MLB Trade Rumors today: Former Dodger Jamey Carroll explains why a 27-year-old minor-leaguer who has no negotiating power could still use an agent. Thanks to this Lyle Spencer interview with Vin Scully on MLB.com, we learn that the night Scully broadcast the Dodgers’ 1955 Game 7 World Series win, he went on a date with future “Sesame Street” creator Joan Ganz Cooney. … “After the third out, Johnny Podres having shut them out, I was taken in a car to the Lexington Hotel with some other Dodgers people,” Scully said. “I had a date, and I left the group to get my car and go pick her up. We drove over to Brooklyn for the party at the Bossert Hotel. Young Vin really knew how to impress a date. An internet check confirmed Scully’s recollection of the future of Ms. Ganz, a publicist in New York City when they met. 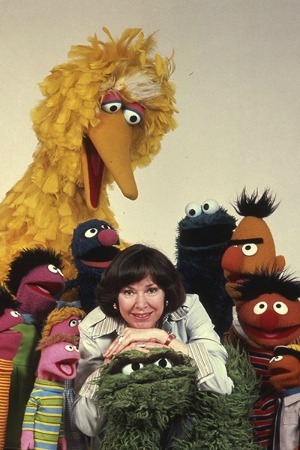 In 1966, Joan Ganz Cooney oversaw and directed the creation of “Sesame Street,” which premiered in 1969. As the first executive director for Children’s Television Workshop, she was among the groundbreaking female executives in American television. Dodgers reliever Matt Guerrier went all in on this spoof of the famous Dos Equis commercials.